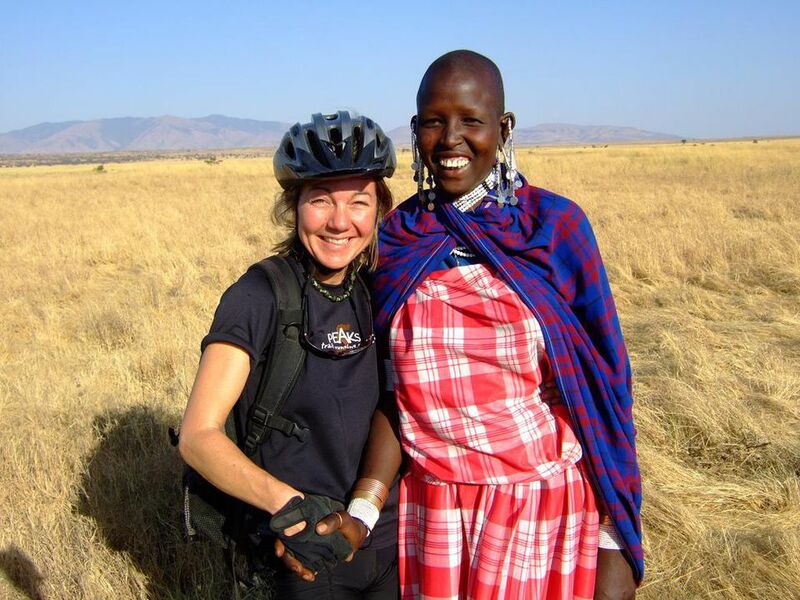 Trish Sare (left) and a Maasai woman in Tanzania. Starting an adventure travel company is no easy task. Developing it into a dynamic and financially successful endeavor for nearly 25 years is something else. For a woman in a male-dominated field, it can be even more of a challenge. So meet Trish Sare of BikeHike Adventures, who has done all of the above and much more, all the while taking a long view on culturally sustainable travel. On a BikeHike trip, you can hike, kayak and bike the coast of Montenegro and Croatia, bike the Bolivian Salt Flats and spend nearly two weeks exploring Vietnam and Cambodia. I caught up with the Vancouver-based adventure pioneer recently and had a chance to ask her about how she did it. Trish, there are only a handful of women who’ve founded successful adventure travel companies. How did you start BikeHike Adventures?